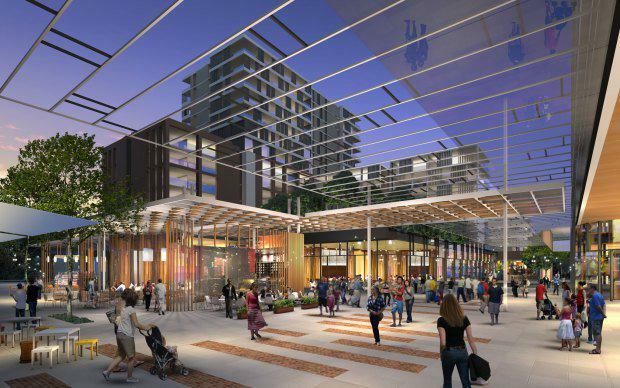 ASX-listed property developer Payce Consolidated has received concept plan approval from the NSW Planning Assessment Commission to boost the size of its $350 million South Village development at Kirrawee in South Sydney. The company said it could now develop 749 residential units, 14,190 sqm or retail/commercial space, and 1,500 sqm of community facilities at the site. This is 73 per cent more units than the 432 units in the original concept plan which was approved in 2012 by the state government’s Planning Assessment Commission and means it will overtake Woolooware Bay, with 600 apartments, as Sutherland Shire’s biggest residential development. “Payce is please to advise that this project recently received concept planning approval from the NSW Planning Assessment Commission to increase the gross floor area from 60,725 sqm to 85,000 sqm,” the company said in an ASX announcement. Payce acquired the 4.25 hectare mixed-use site in August 2013 for $61 million. At the time the approved plan included the units and 15,230 sqm of retail and commercial space. According to Payce, the upcoming development is situated on the former Kirrawee brickpit site and will mark a significant renewal in the Sutherland Shire. The development will feature residential apartments, open plaza retail and almost one hectare of public parkland. It is located 150m from Kirrawee train station.